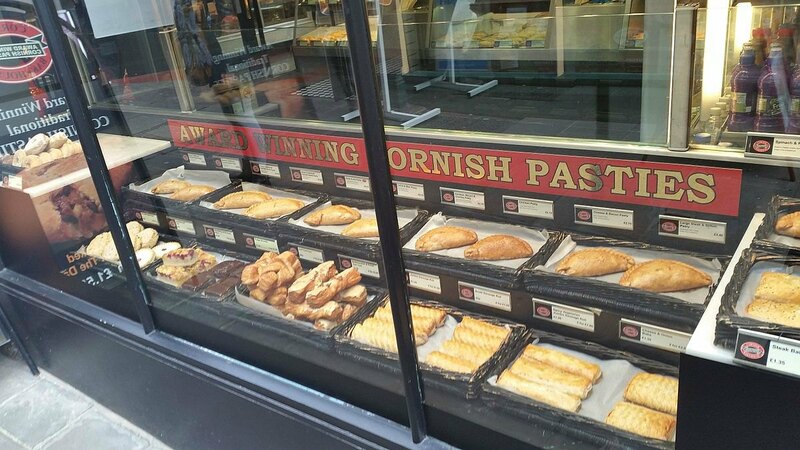 Fancy a Cornish Pasty . . . ? This past week, Nick and I have been down in Cornwall, along with our blogging daughter Louise (thestorytellersabode). We both intend to post about some of the great sites we’ve visited down here once we get home but for now, I just want to say a few words about this lovely county and share a few photos of the main images of the place. I also want to say a big ‘Thank You’ to staunch Cornishman and fellow blogger draliman for meeting up with us and having a lovely chat and evening meal. It was really nice, as both Lou and I have laughed our heads off at some of Ali’s hilarious stories for months. It was just a pity we didn’t think to take any photos. The region has been inhabited since the Paleolithic (or Stone Age, dating from 2.5 million – 20,000 years ago) and Mesolithic periods, through the Neolithic and Bronze age, and eventually the Iron Ages (around 800 BC onwards). At this time, Cornwall, like all of Britain south of the Firth of Forth, was inhabited by a Celtic people known as the Britons. 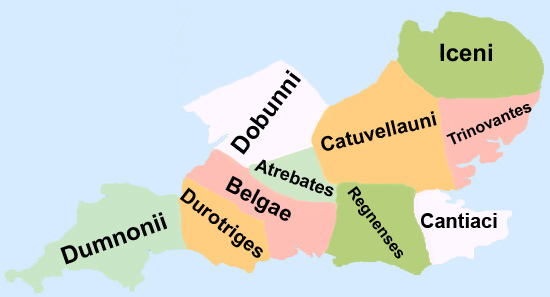 Cornwall itself was home to a tribe of Britons known as the Dumnonii. There is little evidence of Roman rule west of Exeter in neighbouring Devon, and later on, in the 9th century, Cornwall often came into conflict with the expanding Anglo Saxon kingdom of Wessex. 4. Lovely beaches, surfers and steep, rocky coasts with caves – and smugglers (as in ‘Jamaica Inn’ and ‘Poldark’). 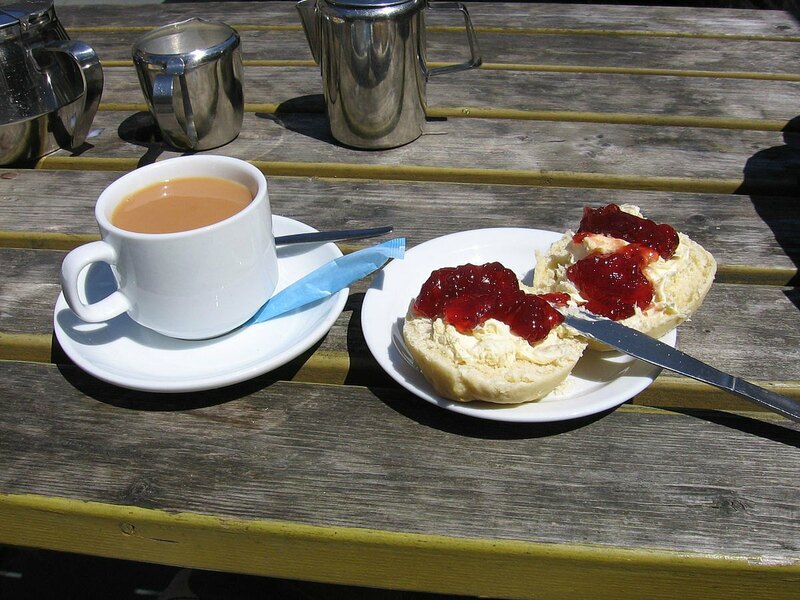 Cornish Cream Tea at Boscastle, prepared in the Devonshire Method. Author: Tuxraider, reloaded at English Wikimedia. GNU Free Documentation License. Cornwall, a pasty and a meeting of bloggers. I am so-o-o-o jealous. And the Eden Project is on my must-see list. Some day. It was great, Peggy, and I know you’d really love to meet up with fellow bloggers – and eat Cornish pasties, of course. It’s such a pity we’re all scattered across the globe. Therein lies the problem. Still, for ‘travelling’ bloggers, there’s always a possibility. I couldn’t agree more. It’s no good being on a diet when you go down to Cornwall! Thanks. Cameron. I’ll start doing some catch-up on blogs tomorrow. We only got back last night and I’ve lots of things to catch up on. I want to find out when you’ll be off on your walk. It can’t be far off now. Catch up but take your time with my little old blog. I would prefer digestion and acknowledgement from a valued source rather than just some bludger having a read and telling me where I have been going wrong….! Great pics ! Being if Welsh descent I really enjoyed this!! Thanks, Holly. I didn’t know you were of Welsh descent. So you’re part-Celt, like me (only my heritage includes Welsh on my mum’s side and Irish on my dad’s. I’m quite a mongrel, really 🙂 ). The Cornish people are very proud of their Celtic roots. Have you tried tracing your ancestry? My Welsh side is Griffiths and my Irish side is Higgins (I was a Higgins before I married). I only know as far back as great-grandparents. When I find the time, I’ll try to trace them all further back. It looks very beautiful. I’ve never visited Cornwall, l would love to, especially in summer time. Cornish pasties are so delicious, it’s easy to have one too many. I looks like you had a nice time. It’s funny seeing pictures of places I recognise, looking forward to seeing more! I’m glad you guys had a good time, and you got good weather which makes a big difference. We had a great week in your lovely county, Ali, and meeting up with you was the icing on our cake. It really was a shame none of us thought to take a snapshot or two, though, and that the time passed so quickly. The weather was fantastic all week, just right for visiting so many sites. We have thousands of photos between us! We were eleven hours getting home. 😦 Roadworks on the A30 (which you know about!) were bad enough, but as soon as we reached the M5 is was several stretches of roadworks and accidents, one after the other. It’s sporadic rain showers and sunshine this week. Not too bad – it wouldn’t have been a washout by any means – but last week was way better! Dear Millie, thank you so much for introducing us such a beautiful place! I honestly fell in love! What a beautiful place Millie, and the cornish cream tea sounds very tasty! I am checking out your daughter’s blog…how wonderful that you both blog 😀 Have a nice weekend! Yes, I would love a Cornish pasty, please! I’ve never been there; it seems like such a lovely place, with so many interesting places to visit. I feel more peaceful and relaxed just looking at the photos. And how wonderful that you got to visit with Ali while you were there! You mean bloggers exist in REAL LIFE? Who knew? Looking forward to seeing more photos and learning more. Hi Joy. Yes, Cornwall really is quite a unique county. There are many different sides to it, each attracting different visitors. There’s plenty of historical interest – everything from ancient sites to the old tin mines, olde-worlde fishing villages – and connections to several authors and famous novels. Young families tend to visit the sandy beaches and others come to surf – although the breakers are small compared to the ones you’re probably used to. It sounds wonderful — I have a real soft spot for historical, as you know, and for anything quaint as well. I’m not sure I’d like to live somewhere very quaint, but it sounds lovely to visit. Very peaceful and relaxing. And yes, extra bonus if I get blogger meetups! Now I have even more excuse to figure out some way to get back to England in the near future! P.S. You probably haven’t noticed yet, but I have done a blog in YOUR HONOUR today! You could say you were my inspiration… the wind beneath my wings… my muse… but that might be all rather TOO Un-British! Lol. Hope you enjoy reading, when you get a chance! What a fantastic comment, Angela. Thank you so much – and yes, Britain is great, with so many wonderful places to visit and post about. I can’t keep up with myself at the moment. I’ve a very long list of posts to do before I visit any more places this year. That you’ve done a post in my honour is truly awesome 😀 and I’ll head over to it as soon as I post this comment! I hope you’re enjoying your weekend, too. We only got home last night, after eleven hours on the road! Traffic jams everywhere – roadworks and accidents as well as the usual Friday traffic. It was crazy. Now I’m about to hop . . .
One day! With the internet it sometimes feels as if you are sitting talking over a cup of tea. So near and still worlds apart. That’s so true. Phones and the internet make the world seem like a very small place. 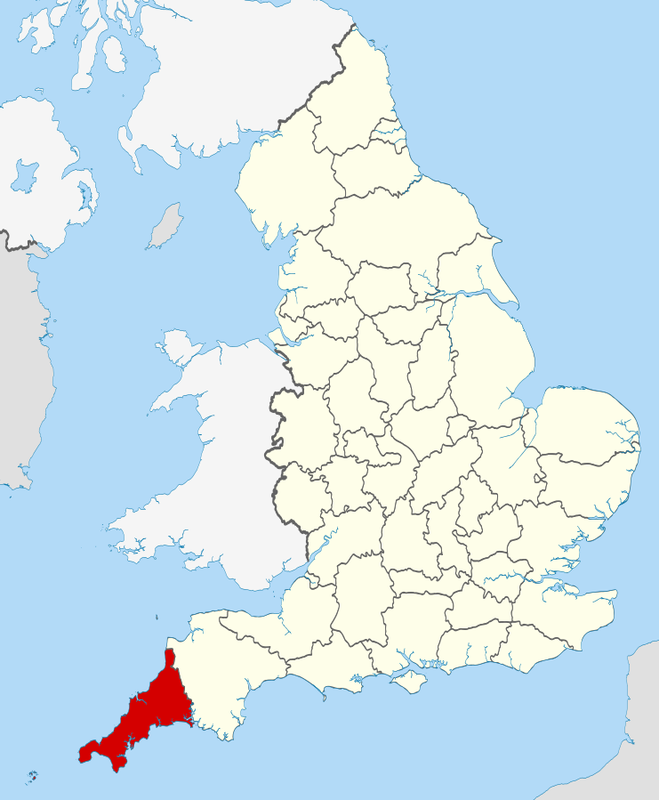 Thank you for all of this information on the Cornish culture. I really do intend to travel there some day. The sustainable garden will definitely be at the top of my “to see” list. What a beautiful land! Is it a rag tree in the picture? Thanks, Inese. The tree is called a ‘cloutie tree’. It’s an age old tradition and (at Madron Well, where this tree was) it involves healing the sick. (It seems to vary a little with different sites). At Madron, the idea is that a person tears off a small piece of fabric covering the area of the body that is ailing. At the material decomposes on the tree, it’s supposed to take the illness/disease/soreness out of the body. From the look of this tree, it seems that people still come here to try it out. Is that what a rag tree is for? powers. Usually it is a very old hawthorn tree. I have to look up the cloutie tree – never heard of them. Very interesting. I love Cornwall. We went to see the Eden project, visited St Ives, we stayed in Torquay in Devon and Clovelly and toured all around. You bought back great memories. Thanks, Charlotte. I love Cornwall, too. There are so many different types of sites to visit, so it’s ideal for touring. I now have photos and information for so many posts, I’ll be lucky to get round to doing them half of them! We were so lucky with the gorgeous weather last week, too. And meeting up with draliman (Ali) was just perfect. OoooW! You’ve been to Cornwall! You should have dropped in on your way down the A30! PS:Finally I bought 2,one for my sister and one for myself.We can’t wait to receive them …. Yes, it was lovely to meet up with Ali – very ‘sweet’ (although we had a meal and not cream teas, on this occasion 🙂 ). He’s such a nice man, and really loves his home county. I couldn’t see him living anywhere else. Louise does have a wonderful blog. She’s very creative, in lots of ways. Not only does she write (she’s editing her first book at the moment) but she does great sketches and paintings and is a really good photographer. I really hope you aren’t disappointed with my book. 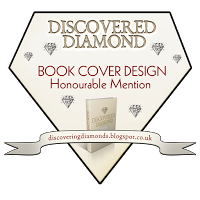 It is historical fiction, and it follows closely events in King Alfred’s life. Of course, interactions and characters are of my own making. No one really knows what people from so long ago were like. Eadwulf’s side of the story is fictional. The right man at the right place … Ali does honour his home country. I’ve a feeling that I’ll enjoy your book not only for the interesting content but also because I like your writing style.I’ll definitely tell you my honest opinion.Thank you Millie. That’s an interesting trip, and I’d love to see The Eden Project! 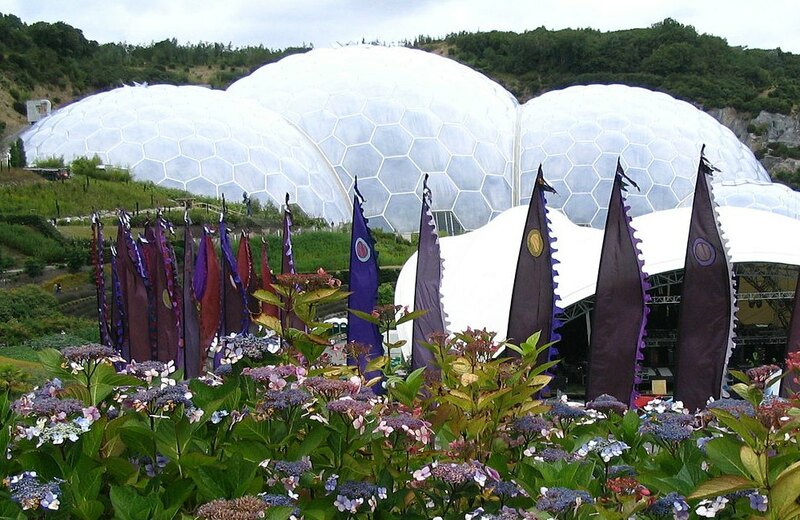 Would love to visit the iron age village sites, and the Eden project that should be interesting. Thank you. 🙂 I’m glad you like them! Cornwall is a pretty and very quaint county, and quite a law unto itself. Wow! Millie it sounds so awesome…Cornish Pasty and clotted cream and finally meeting a fellow blogger. :)The idea of meeting a fellow blogger seems so fascinating. I follow Ali and had read his version of the meet up and Louise’s too. It certainly seems that you’ll had a great time together and that too at such a beautiful place. So true Millie. 🙂 Perhaps, one day…. Absolutely lovely place! Heard quite a lot about it!